BEIJING, Dec. 29 (Xinhua) -- China has outlined tasks and targets for a rural vitalization strategy addressing issues related to agriculture, rural areas and rural people. By 2020, the strategy should have established an institutional framework and policy system, according to a statement released Friday after the central rural work conference. By 2035, China aims for "decisive" progress, with basic modernization of agriculture and rural areas. By 2050, rural areas should have strong agriculture, a beautiful countryside and well-off farmers, the statement said. "Rural vitalization" was one of the major aspects of developing a modernized economy in a report delivered to the 19th National Congress of the Communist Party of China (CPC). 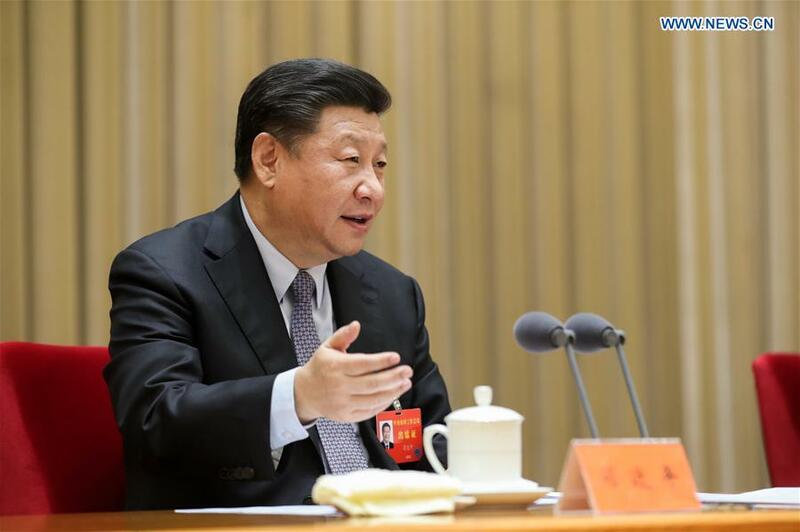 President Xi Jinping, also general secretary of the Communist Party of China Central Committee and chairman of the Central Military Commission, attended the two-day rural conference and delivered a speech. He summarized achievements and changes in agriculture and rural areas since 2012, expounded on the rural vitalization strategy and made concrete requirements. Achievements in agricultural and rural development since the 18th CPC national congress laid the foundation for development, the statement said. The supply-side structural reform in the agricultural sector has advanced, grain production capacity has made strides and agricultural modernization progressed, the statement said. China has also achieved "decisive progress" in the battle against poverty with more than 66 million people lifted out of poverty in the past five years. Despite this progress a development gap remains between urban and rural regions due principally to lack of quality and efficiency in agriculture. "Issues related to agriculture, rural areas and rural residents are fundamental problems as they directly concern the country's stability and the people's well being," according to the statement. The strategy will help resolve the contradiction between unbalanced and inadequate development and the people's ever-growing needs for better lives, meet the two centenary goals and realize common prosperity, the statement said. The strategy is for the long term and needs scientific planning, a focus on quality, an unhurried tempo with no obsession with speed, the statement said. While pursuing the strategy, the country must follow the Party's leadership on rural work and prioritize agriculture and rural areas. Agriculture and rural areas must be prioritized in choosing cadres, the allocation of resources, public financial support and public services. The conference called for the advance of integrated urban-rural development, with more focus on infrastructure, education and public services in rural areas. The basic rural system should be consolidated and improved, while supply-side structural reform in rural areas should continue. Green development and innovative governance in rural areas will generate more sustained growth. Only targeted and effective efforts will win the crucial battle against poverty. Ensuring the quality of poverty-reduction should be the top priority, the statement said. Targeted poverty reduction is one of the "three tough battles" for the next three years as the country tries to secure a decisive victory in becoming a moderately prosperous society in all respects. Chinese Premier Li Keqiang, Vice Premier Zhang Gaoli, and members of the Standing Committee of the Political Bureau of the CPC Central Committee Li Zhanshu, Wang Yang, Wang Huning, Zhao Leji and Han Zheng also attended the conference.